In childhood and youth, truth is a tangible concept. Parents tell you that you must always speak the truth, teachers tell you, ‘Honesty is the Best Policy’ and you think if you confess to having feigned a tummy ache or feeling adequately repentful for having secured low grades, truth has reigned. As you grew older, truth got slightly wider to include those of your friends’. You believed that which your cognizant mind accepted was truth. And you kind of understood, at least theoritically, that a lot of what we thought was truth, lay in our own imagination. But truth was still real. That stray strand of grey hair said maybe truth is more than all that, a little difficult to understand, perhaps multidimensional, as the Jainas say anekantic and Rg Veda said, ekam sat viprah vadanti bahuda…Truth started playing hide and seek. Truth often hid under the covers of the alternative reality you had built around yourself. The chronology of truth may not be age related as I have portrayed; but the trajectory is one possible. Now, ladies and gentlemen, prepare for another oeuvre…What is truth? Just a set of narrow beliefs that your mind was able to create for you that you called TRUTH? Is Truth truly stranger than fiction and fantasy a synonym for truth? 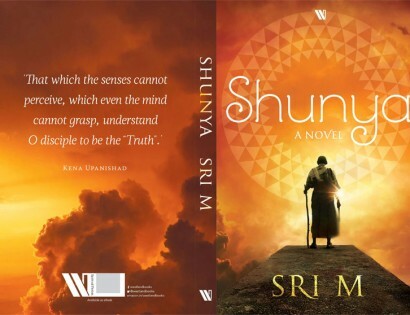 In an absolutely bewildered state I present to you the book by Sri M, The Journey Continues. 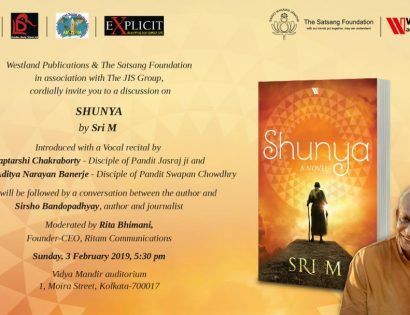 After an autobiography that blew the mind, Sri M has come up with not so much a sequel but a conversation that he is building on the life that he has bared in the first volume. The new book is compilation of small narratives and incidents that dot the spiritual teacher’s life and mind. The autobiography had incidents which the rational mind was “shocked” to read and comfortingly enough the author advised his readers to ignore that which did not appeal to the rational mind and take only that which they wanted to from the book. And there was enough that fell into the second category. The new book, The Journey Continues, is another cup of tea. Sri M repeats his advise, but it is of no avail to the reader because the rational mind has bid adieu to you even before the first chapter is over. Thereafter is it the mind or the heart reading the book, one cannot tell. With the first book, one was introduced to Sri M as Mumtaz Ali or Madhu, call him as you may. There were times you could relate to his responses and actions. The Journey Continues, brings to you a person you know, whom you can relate to, who undertook a walk across the country to spread the message of peace without being overtly worried about which politician endorsed his walk, who can have dinner with you and find something tasty and something not so tasty, who wears clothes similar to the men who live a routine life, who does not talk down to you. So when he says, “He stepped out of the sanctum and held me in warm embrace. I was filled with ecstasy. The sweet scent of tulsi and sandalwood surrounded me. Oh! How can I describe it? 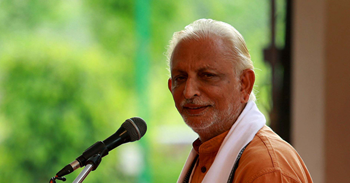 Loudly uttering “Krishna Krishna,” I woke up.”How does one take that?The incident is reported in Guruvayur and Sri M himself says even before relating the incident,”…I had guarded this blissful experience in the secret recesses of my heart until now, and perhaps related it only to a few good friends. One of them, a close friend and a communist at heart, called it my ‘most touching hallucination’, but that is his opinion and he is entitled to it….”So you see there is great amount of rationality in the delivery of experiences that do not even know the spelling of the rational. There is another chapter which vividly describes Sri M’s journey in his astral body. 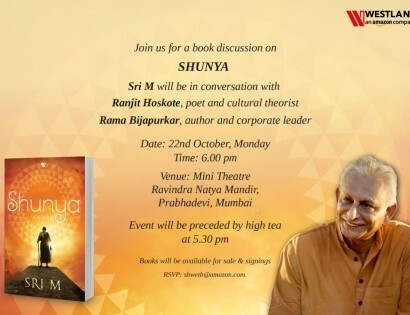 Further, Sri M describes his previous birth as some well known character…read the book you will find out. The meaning given is:O Sun, the Controller! Remove the dazzling golden disc from your face so that I, the righteous seker looking for the truth may see you face to face.